Raytheon Network Centric Systems filed an application (with supporting exhibits) for experimental license. Raytheon says it is working to build a “NetWarrior Communications System” using GSM technology. The primary use for this experimental license would be to test and evaluate this system while in development and conduct demonstrations for military and government officials. The system is called GSMnet and is described as a unique communication solution that provides the ability to create a self-contained, privately managed mobile network based on GSM cellular standards. The enabling technology of GSMnet is said to allow military personnel to manage mobile phone access on the GSMnet communications infrastructure, delivering seamless cellular communications coverage to deployed military personnel and critical incident responders in remote or hazardous environments or when conditions have rendered existing GSM cellular networks inaccessible. Operation is to be on 1922.6, 1927.4, 2112.6, and 2117.4 MHz. This application was granted on June 15. 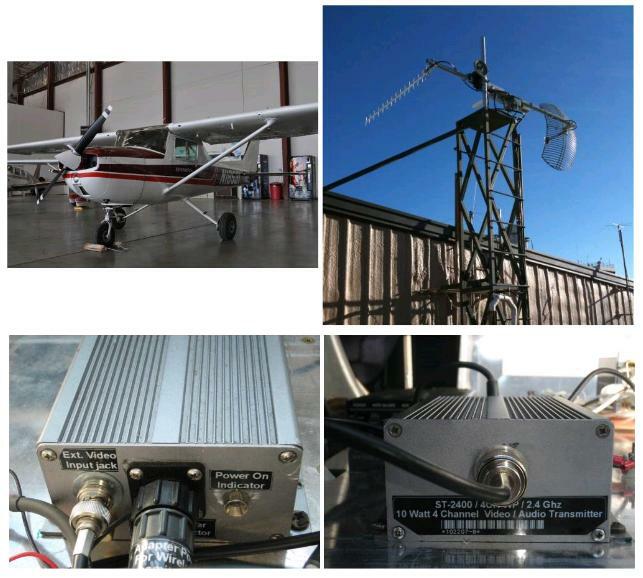 Sierra Nevada Corporation filed an application for special temporary authority to conduct flight testing of X-NET Air WiMax transceiver radio devices. The flight tests will determine the range of the data communications that can be achieved and the data throughput that can be achieved at different ranges. As background, the C4N (Command, Control, Computers, Communications, and Networks) Division of the Sierra Nevada Corporation has developed an air-ground data communications link under contract with the USAF Rivet Joint aircraft operations as a part of the Big Safari Program. The Sierra Nevada equipment is called the X-NET Air System. It is a dual channel FDD radio link. Operation is to be on 2675 and 2685 MHz. This application was granted on June 28. Raysat Antenna Systems filed an application (with supporting exhibits) for special temporary authority to operate up to five Land Mobile-Satellite Service (LMSS) earth stations with the AMC-5 and AMC-6 satellites at 79° W.L. and 72° W.L., respectively. 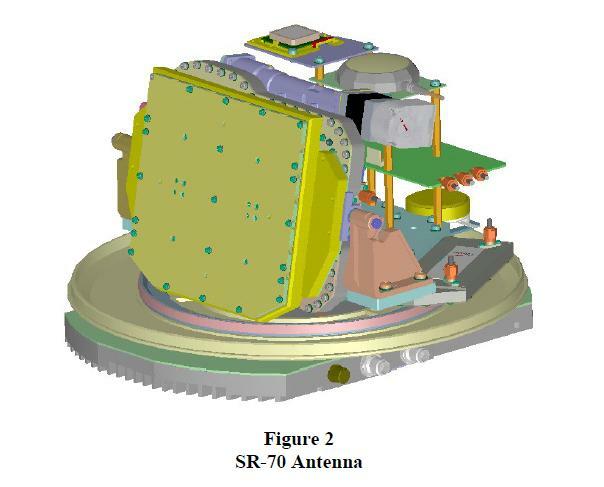 The company seeks to test and demonstrate the new SR70 earth terminal, a single-panel, Ku-band array antenna in connection with Department of Defense/Logistics Innovation Agency (DOD/LIA). Operation is requested at 14.0-14.5 MHz. This application was granted on June 16. Lockheed Martin filed an application (with supporting exhibits) to experiment with a swept-frequency radar system operating at various frequencies between 1.0 and 15.4 GHz. The radar transmit-and-receive system will be coherently frequency step-chirped from the start frequency to the final frequency, with a pulse width of 95 ns. Other details are said to be classified; Lockheed Martin has requested confidential treatment of this application, and FCC staff has responded to the company asking for justification. Aircell, a provider of Wi-Fi service aboard aircraft (under the GoGo brand) filed an application (with supporting exhibits) for experimental license to conduct FAA-required tests to determine the susceptibility of aircraft avionics to interference from radio frequency emissions from consumer devices operating in Wi-Fi bands. Aircell says it must demonstrate conformance to those standards to receive FAA Supplemental Type Certificates necessary for the deployment of its service aboard commercial airliners. Testing is to be on 2400.0-2483.5 MHz, 5250-5350 MHz, and 5725-5825 MHz. Clearwire Spectrum Holdings III filed an application (with supporting exhibits) for experimental license to test WiMAX IEEE 802.16m technology in the Phoenix, Arizona market. (The 802.16m standard is now being finalized in IEEE 802.) Clearwire says it is evaluating 802.16m and other 4G technologies “as a potential technology evolutionary strategy.” Clearwire is planning to test overlay 802.16e WiMAX using 10 MHz channels, Frequency Division Duplex (FDD) using 20 MHz channels, and Time Division Duplex (TDD) using 20 MHz channels. Operation is to be on 2496-2690 MHz. Equipment from “many vendors” will be evaluated. Many tests are to be performed, including those for end-to-end system performance, mobility management, MIMO, scheduler and QoS, base-station RF characteristics, self-organizing networks, and VoIP. This application was granted on June 29. 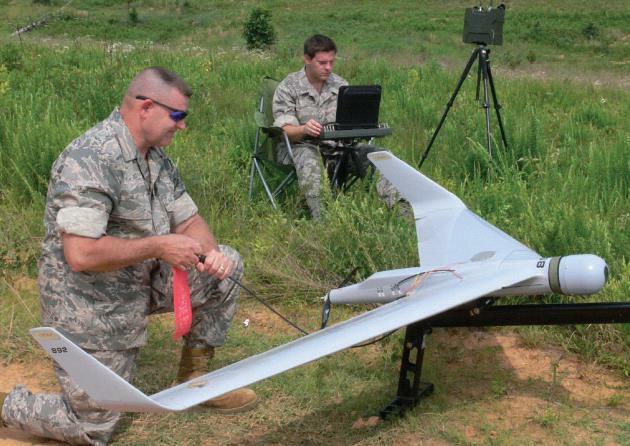 Global Technical Systems filed an application (with supporting exhibits) for special temporary authority to test an aircraft-mounted ground-penetrating radar. In the test, a metal target will be buried 6 feet underground and illuminated by the radar for 60 seconds on each pass of the aircraft, which will be flying at 10,000 feet above ground. Data will be collected for ground processing. Correspondence between the applicant and FCC staff reveals some confusion as to the frequency of operation. It seems it will be in the 1250-1400 MHz range. In correspondence to the applicant, FCC staff asks for details on how InterDigital plans to prevent interference to TV licensees. The links above are for an application for operation in Melville, New York. An essentially-identical application was also filed for operation in King of Prussia, Pennsylvania. Panasonic Avionics Corporation filed an application (with supporting exhibit) for experimental license for ground and flight testing of up to twenty aircraft earth stations (AESs) of two AES types – ten MELCO reflector terminals and ten Aura LE terminals – to further test and demonstrate the functionality of its eXConnect Ku-band Aeronautical Mobile-Satellite Service (“AMSS”) system. The company says eXConnect is to provide broadband internet access, real-time video content, voice and other services aboard commercial aircraft. The company does not envision formal launch of the eXConnect system onboard U.S. commercial airlines in the near term. It is, however, preparing an FCC blanket license application for authority to operate eXConnect AESs on a full commercial basis. In the meantime, the company wants to conduct limited market studies. Operation is to be on 14.000-14.470 GHz. 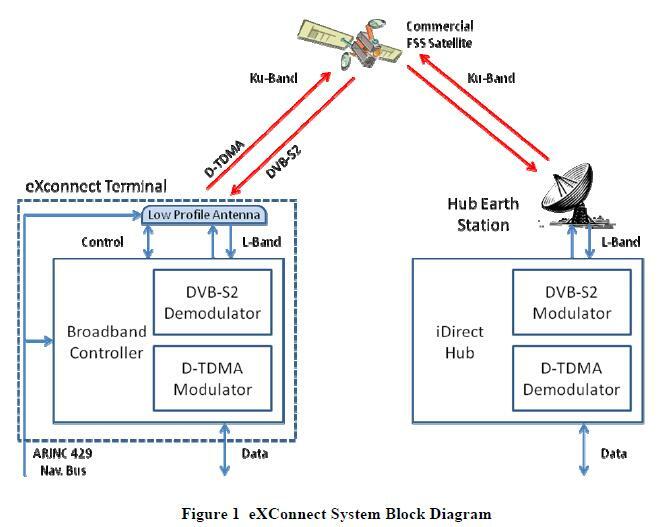 Virginia Tech Mobile and Portable Radio Research Group (MPRG) filed an application (with supporting exhibits) for special temporary authority to perform experiments related to new TV band (white space) devices. The Group intends to test prototype TV white space devices to determine how their operation will affect other co-channel and adjacent-channel users, such as wireless microphones and other professional audio equipment that is commonly operated in the television bands. Frequencies will be coordinated prior to operation by the local SBE frequency coordinator. Operation is to be on 512-608 MHz and 614-698 MHz. 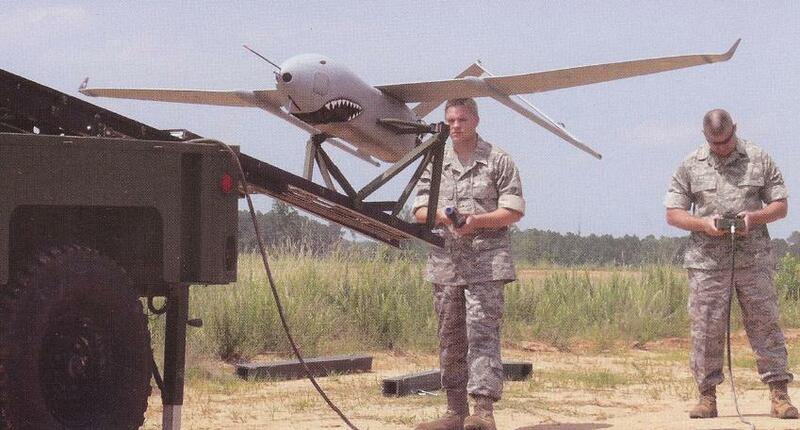 Lockheed Martin filed an application (with supporting exhibits) for special temporary authority to test a Harris model RF-7800S-TR radio as a potential weapon data link to provide in-flight moving target location updates to a weapon to facilitate engaging moving surface targets. The objective of the test is to evaluate the affects of message rate, latency and bit-error-rate on target engagement and determine a realistic target engagement envelope. A larger goal is to demonstrate this class of radio as a viable option to improving moving target strike effectiveness and support the development of low cost, low collateral damage weapons. Operation will be on 350-450 MHz. GlySens Incorporated filed an application (with supporting exhibits) for experimental license to test implantable electronic medical devices on 433.92 MHz. The company has requested confidential processing of its application, so few other details are publicly available from the FCC. This application was granted on June 28. This is likely related to the company’s announced development of a long-term continuous glucose monitoring system that is designed to provide an unobtrusive means to continuously track glucose levels in people with diabetes. The system is has two parts: a long-lived fully-implanted sensor and an external monitor with a display. The sensor continuously monitors glucose levels in subcutaneous tissue, which are correlated to blood glucose levels. The sensor transmits the glucose measurements wirelessly to the external display device. This device indicates the current blood glucose level, shows a historical chart of the previous blood glucose values, provides adjustable automatic warnings of high and low blood glucose readings, and stores information for analysis. Space Exploration Technologies Corp. (SpaceX) filed an application for special temporary authority to use telemetry, ranging, and video transmitters for the second launch campaign of the Falcon 9 launch vehicle. The vehicle will be launched for NASA from Complex 40 at Cape Canaveral Air Force Station, under launch authorities granted by the U.S. Air Force and Federal Aviation Administration. SpaceX is under an active STA for this, but due to delays the STA will expire before launch. This application is to continue that authority, as the FCC does not grant extensions for experimental STAs. SpaceX will utilize a telemetry and video transmitter on both the first and second stages of the vehicle, plus a C-band ranging transmitter on the vehicles second stage. The first stage will begin transmitting 15 minutes prior to launch and remain active for 2.9 minutes after launch. The second stage will continue transmitting for up to 2 hours after launch. Operation will be on 2213.5, 2221.5, 2251.5, 2273.5, and 5765.0 MHz. Professor David Miller from MIT filed an application (with supporting exhibits) for experimental license to transmit spacecraft telemetry on 2.4000-2.4836 GHz. This is in support of testing of the CASTOR (Cathode/Anode Satellite Thruster for Orbital Repositioning) satellite. Testing is to validate the performance and application of Diverging Cusped Field Thruster (DCFT) technology. This will be achieved by taking on-orbit state data to compare the degradation experienced by the DCFT to that of similar technologies such as Hall thrusters. RLM Communications filed an application (with supporting exhibits) for experimental license. Operation is to be on various broadcast bands from 540 kHz to 806 MHz. The company says it is “providing the United States Army Special Operations Command (USASOC) research and development support in the areas of Joint Integration and Compatibility Development System (JCIDS) and Special Operations Forces Integration Development System (SOFCIDS) requirements development, product evaluation and systems testing and training. RLM will be providing training documentation, technical writers, training specialists, electronic technicians and other media support professionals in the upcoming Design Testing (DT), Operational Testing (OT) and new equipment training (NET) for a family of electronic broadcast systems which encompass broadcast radio in AM, FM, SW and television in UHF and VHF analog television and digital television. The nature of the activity will include erecting the antenna system several times, startup up the transmitter and increasing ERP into a dummy load and into the radiating” antennas. This entry was posted on Sunday, July 4th, 2010 at 12:35 am and is filed under 3GPP, Antennas, Aviation, Cognitive Radio, Experimental, GPS, High Frequency, Infrastructure, Internet, M2M, Military, Public Safety, Radar, Satellite, Space Communications, Spectrum, Telemetry, Terminals, Unlicensed, Video, White Space, WiMAX. You can follow any responses to this entry through the RSS 2.0 feed. You can leave a response, or trackback from your own site.